On Wednesday, April 24th, 2019, at 7:00 pm, the Board of Trustees of the Nottingham Forest Civic Association, Inc. will meet in regular session, open to the public, at the Nottingham Forest Club at 325 Kickerillo Dr within the Nottingham Forest subdivision. Please log in to access the meeting agenda on the Important Documents page under the Community Tab. 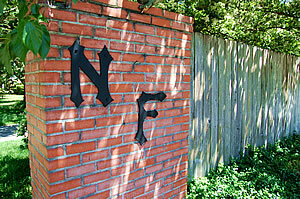 The Nottingham Forest Civic Association Association, founded in 1964, is a non-profit Texas corporation. A board of Trustees, composed of residents, conducts the affairs of the Association. The Association is responsible for enforcement of the Deed Restrictions, collection of garbage and refuse, security, and maintenance and landscaping of the entrances to the subdivision and common areas. You may contact the appropriate trustee (see listing of current trustees) directly with any questions or concerns. Meetings of the Board are generally held each month and are open to all residents and homeowners of Nottingham Forest. If you wish to address the Board regarding a particular matter, please contact the neighborhood's management company, Crest Management, at www.crest-management.com or 281-579-0761 at least three days before the meeting so that you may be placed on the agenda. Annual homeowners' meetings take place in May, when Trustees are elected and a review of the year is presented. Another meeting is held during the year where the Board presents the budget for the Association for the next year for approval. Unless otherwise announced, all NFCA Board and general meetings are held at the Nottingham Forest Club, 325 Kickerillo, Houston, Texas 77079. There are additional features to the site available only to those residents of the subdivision. Please take a moment to sign up for the site. Visit the sign up page for additional information. Accounting for Nottingham Forest Civic Association is handled by Crest Management. Payments should be mailed to the address on your invoice. If you did not receive an invoice, call Crest at 281-579-0761 Monday - Friday, 9:00 a.m. to 5:00 p.m..
Additional information about the Civic Association is also available through the Crest Management web site. Conveyances are handled through Crest Management at www.crest-management.com or by phone at 281-579-0761. Before you undertake any construction project or modify the exterior of your home or lot, please contact the Architectural Control Committee (ACC) for approval. In general, most landscaping does not require ACC approval. Turnaround time is greatly increased when you provide a detailed description of the project including pictures, surveys, and/or drawings. Also, please include information on materials and colors such as shingles, siding, paint, etc. Our neighborhood deed restrictions can be viewed here and to help speed up the process, please complete the Crest Form and submit to nfrebuild@gmail.com. Would you like to join the Nottingham Forest Women's Club? Please contact NF Women's Club for more information.